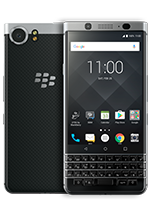 TORONTO – October 4, 2018 – TCL Communication, a leading global smartphone manufacturer and BlackBerry®-branded licensing partner, announced today that its newest BlackBerry smartphone – the BlackBerry KEY2 LE – is now available in Canada starting today. This new addition to the BlackBerry KEY series smartphone lineup maintains the BlackBerry KEY2 design evolution which includes minimized screen bezels and redesigned chassis for a more modern aesthetic, while bringing subtle new design refinements that make it slimmer and lighter. The recently introduced Speed Key allows for a more customized universal shortcut experience, and in addition to its Android™ operating system, it includes support for popular features like the Google™ Assistant, Google™ Lens and Google Pay™. Slate Dual-SIM 64GB Staples (in-store and online) and online at Amazon.ca, Walmart.ca and Blueshop.ca Starting at $599.99 CAD – Available Now! 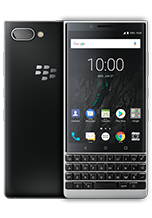 TORONTO – JUNE 20, 2018 – The newest and most-advanced BlackBerry smartphone yet is coming to Canada on July 6 with the launch of BlackBerry® KEY2 available at Bell, Rogers, SaskTel and at select TELUS locations, and will also be available carrier unlocked later in July at select online retailers. 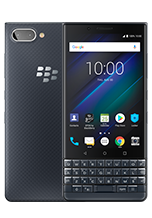 Featuring an iconic BlackBerry physical keyboard and loaded with BlackBerry Limited’s best security and privacy enhancements, this all-new BlackBerry smartphone packs a number of features that are firsts for any BlackBerry smartphone. Running the latest Android™ 8.1 Oreo operating system, the BlackBerry KEY2 is the first ever BlackBerry smartphone to feature a dual rear camera. It also includes the introduction of Speed Key, a universal shortcut key that now makes it possible to instantly access the apps, contacts and functions you use most from anywhere on your device at any time. The BlackBerry KEY2 in Silver will be available carrier unlocked at Amazon.ca, BestBuy.ca, Walmart.ca, Staples.ca, Blueshop.ca and Visions.ca in July starting at $829.99 CAD outright. Rogers will begin offering pre-sale of BlackBerry KEY2 for both consumer and business customers starting on June 21. For more information visit a Rogers retail store or Rogers.com.